That’s the million dollar question, after all. There are plenty of articles out there trying to dissect every official word on Hummingbird, but today we’ll take a quick look at what it really means for you and your business. First of all, all the regular local SEO tools and tactics are not going anywhere. While Hummingbird does replace all of Google search’s inner workings, it incorporates a lot of the same signals, technologies, and metrics that have been there all along. 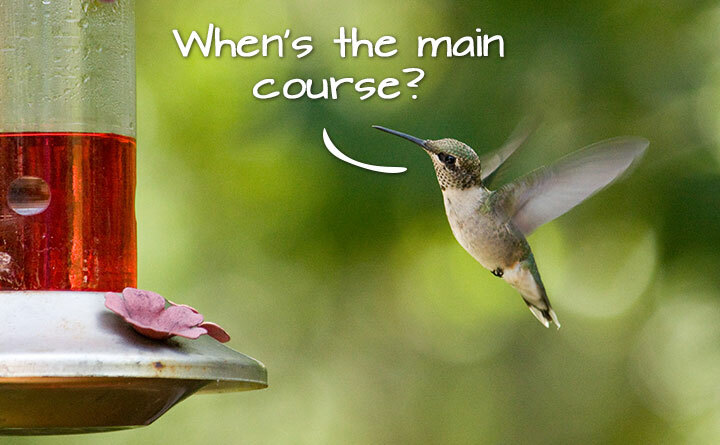 While Google’s other big updates, Panda and Penguin, no longer exist on their own, the methods and goals of both updates will continue to live on through Hummingbird. In short, if you want your business on top, good links, good content, and good reviews are still a great way to get there. In the world of Google, this is called “conversational search.” Check out Danny Sullivan’s excellent article on conversational search if you want to see a few of the cool tricks it can do. With Google, it’s always hard to tell where one update ends and the next begins. Google turned Hummingbird on around August 30th, but didn’t decide to tell us about it until September 23rd. Around the same time, SEO people began to notice a few other significant changes that Google hasn’t related back to their Hummingbird update. By far, the biggest update is to the way keywords are reported. Not too long ago, you could open Google Analytics to see exactly which keywords were searched by users who visited your site. The idea was that website owners could post new content that reflected what users were searching for, and then become a more useful website for everyone. At least in theory, it was a win/win. One day, Google decided to change that. All of a sudden, keywords were not available for searches by users who were logged into their Google accounts, like Gmail. Where there would have been keywords, webmasters instead saw “(not provided)”. For a while, it was normal for roughly 10% of your search terms to show as “not provided”. In very recent history, that number suddenly shot up to an average of 70%. Some websites don’t get any keyword data whatsoever. While SEO people generally agree that this was a move to prevent people from gaming the system, the effect on legitimate SEO has been devastating. Not only is it more difficult to guess which content people want to see, it also makes it a nightmare to calculate ROI. For example, if a plumber wants to calculate conversion rates for people who search for “water heater repair” versus people who search for “drain cleaning”, the total lack of keyword data makes that a problem. If you want to take a more logical, data driven approach to growing your business, Google just made that a lot more difficult. Even the mild mannered Rand Fishkin, one of the SEO industry’s leading authorities, had a few choice words for Google on the subject. The other huge update, that may or may not be related to Hummingbird, is the sudden rise of directories and review sites in regular search results. If you searched for a “plumber in Palo Alto” a year ago, you would have probably seen seven local listings (A through G), plus a few Yelp listings below that. When I tried that search today, I saw four Yelp listings above the local listings. For the plumbing industry, we’ve seen as many as six Yelp listings appear in a row, above the local listings. Don’t think of this as the “Yelp Update”, however. Search for a “plumber in Houston” and you won’t see Yelp at the top – you’ll see Yellowpages.com and Angieslist.com. The fact of that matter is that a lot of these directory sites have taken over the search results because those are the sites that people actually visit to make decisions. In Palo Alto, more people use, trust, and click on Yelp pages, so that’s what you’ll see. In Texas, you’ll see more Yellowpages.com and BBB.org, because those are the sites that people tend to trust. It’s different for every area, industry, and search terms, but the implications are the same. Businesses that perform well on locally-trusted review sites are benefiting more than ever before. Google supposedly picked the name “Hummingbird” because the new engine is “fast and accurate.” I like to think it has more to do with its metabolism. The actual hummingbird – that is, the bird – has one of the fastest metabolisms in the animal kingdom. It’s not unusual for a hummingbird to eat its own weight every day, and some species may even eat three times that. If data is food for a search engine, then Hummingbird has one of the fastest metabolisms in the search engine kingdom. Hummingbird goes through more data in one sitting than just about any search platform on the planet, which means it needs a ton of data to really thrive. The best thing you can do for your business, at least when it comes to Hummingbird, is to feed it all the data it can handle. Let it know everything about your business – what year you were founded, which credit cards you take, and everything else that you’re comfortable putting online. Feed it tons of pictures and videos of your business, on your own website and on other websites, and make sure that there’s not a lot of bad data (like old phone numbers and outdated street addresses) that will give the bird indigestion. Above all else, make sure you’re getting tons of good reviews, because unlike a real hummingbird, Google’s needs a few different food groups. If you only get one thing out of this post, get this: If you run a good business, and everyone knows it, Hummingbird will help you stand out. When someone searches for “the best roofer in Miami” Google isn’t just going to look at your website to make the call. It’s going to look at your reviews, your directory listings, and at more data than ever before, in a much more sophisticated way than ever before. That means that the bad guys who try to game the system are going to have a harder time, and businesses that do a good job will be rewarded. 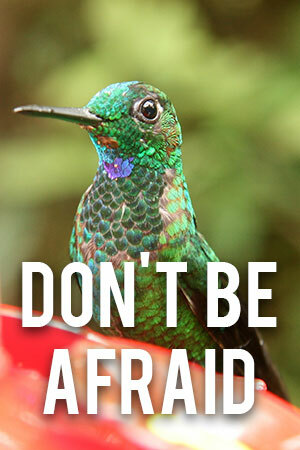 So keep doing a good job, keep getting your data out there, and let Hummingbird do the rest. We have all been on our toes ever since Google started rolling out high-impact updates to its algorithm. Panda had web developers check the quality of their articles and web content, removing poorly-written, scraped, and duplicated content. Penguin had everyone scrambling to audit their link profiles, burning the evening oil to comb through thousands of links and contacting other websites for link removal requests. → Today is Internet Day!